News wires lit up on Tuesday with the information that Syd Barrett — Pink Floyd’s co-founder, legendary recluse and the inspiration for the group’s musical masterpiece, “Shine On You Crazy Diamond” — died last week. According to reports, Barrett, 60, died last Friday. At press time, most media reports linked his death to a longtime battle with diabetes but the British newspaper The Guardian said that it was cancer. This news came out later than you realize. In actual fact, Syd Barrett died more than 30 years ago. Plagued by mental illness and according to legend, the after-effects of mind-bending drug experimentation, Barrett was excluded from the group that he created and led during its formative years. After a couple of warped solo records, he eventually left the music world all together, shed the “Syd” nickname and reclaimed his birth name of Roger. According to various newspaper accounts, he retired to his hometown and lived the rest of his life as something like a hermit. If we can read into his actions — shunning obsessive fans’ advances and declining interview requests — Barrett was most likely glad Syd was dead. Barrett’s death only brings to a conclusion one of pop music’s great vanishing acts. What truly endures about Barrett — besides those madcap legends — should be his musical influence. Although his creative output totals only a few dozen fantastically convoluted songs, he proved a musical catalyst for many. His work permeates not only his ex-bandmates’ classic albums but countless artists today. Artists ranging from David Bowie, R.E.M., Blur, the Mars Volta, the Flaming Lips, Chris Cornell and Robyn Hitchcock have cited Barrett as a touchstone, covered his songs or have created music that clearly bares his stamp. Above all, Barrett’s influence and his tragic disintegration became the primary themes that Pink Floyd continually explored on their top-selling records of the ’70s. “And I’m most obliged to you for making it clear that I’m not here,” Barrett sang on the last track to grace a Pink Floyd album. He did leave, but in many ways, he never would. Born in Cambridge, England in 1946, Barrett formed what would become Pink Floyd when he was an arts student in the mid-’60s. He wrote the overwhelming majority of their songs, sang with a pleasing English accent and played ragged lead guitar. He penned a series of pop singles that became cornerstones of psychedelic rock. Songs like “See Emily Play,” “Astronomy Domine” and “Arnold Layne” combined poetic lyrics of child-like whimsy with undulating sonic experimentations. The group’s first album, “Pipers At The Gates Of Dawn,” was by all accounts his baby, and was released right around the time that the Beatles “Sgt. Pepper’s Lonely Hearts Club Band” came out. But sometime in between the years of 1967 and 1968, everything seemed to go wrong for Barrett. The various outlandish stories about his mental decline are hard to substantiate. One went that he went mad after smuggling tabs of acid in his jeans during a plane flight only to have them absorb through his skin. Another said that he dumped a concoction of pills and gel into his hair before a performance. Some said that he would sometimes show up to concerts and get onstage and refuse to play guitar or sing and would just stare off in a near catatonic state. The truth is, based on his band mates’ admissions, that any drug use likely exacerbated a pre-existing mental condition that might well have surfaced eventually. Eventually, his cohorts had enough and enlisted his childhood friend, guitarist David Gilmour, to be his de facto replacement. The band played with both men for a short time and even mulled the idea of keeping him as their primary songwriter but gigging with Gilmour. The band members said that they decided one day to just not pick him up for a show, and thus ended Barrett’s tenure with the band. Perhaps out of appreciation and maybe guilt, most of the group assisted Barrett in various capacities in the recording of two solo albums, “The Madcap Laughs” and “Barrett.” The folk-pop songs that resulted can best be summarized as thoroughly original or at their worst, as the product of a mind unraveling. Despite Barrett’s departure from Pink Floyd, bassist Roger Waters becoming the group’s new creative focus, although Barrett seemed to hang over the group’s creative life like a ghost. It seems whenever Waters picked up a pen for lyrics, Barrett wasn’t far from his mind. Barrett inspired or partially inspired the conflicting themes of madness, emotional isolation, fame and left-field creativity that informed the group’s greatest albums — “Dark Side Of The Moon,” “Wish You Were Here,” and “The Wall.” These records became landmarks in rock history. In the movie version of “The Wall,” one could easily see that the film’s burnt-out, incommunicative protagonist was a partial composite of Barrett and Waters himself. 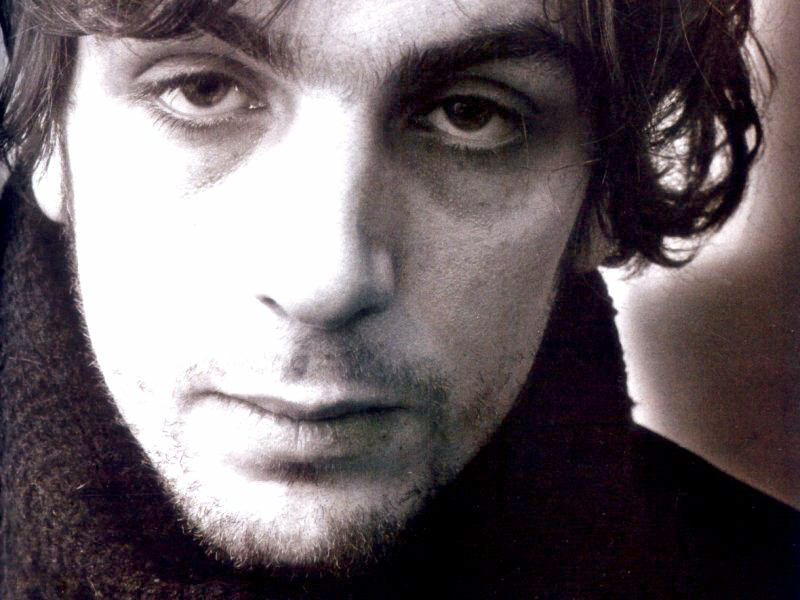 Barrett was specifically eulogized, if rumors are to be believed, in classics like “Wish You Were Here” and of course, the epic “Shine On You Crazy Diamond.” Oddly enough, the band members have frequently mentioned that Barrett himself made a disturbing appearance at the studio when they were recording “Shine.” So great was his decline that the band members didn’t recognize him. The band would continue on with ever more pompous musical projects until Waters quit the group amid much acrimony in the early ’80s. The tension escalated into a legendary blood feud when Waters sued his ex-bandmates for continuing on without him — releasing blustering albums and gi-normous stadium tours — all using the Pink Floyd name. Gilmour and company’s defense was basically that Waters’ defection was akin to Barrett’s leaving, but the show must go on. As the public sniping, finger pointing and recriminations continued over the decades, one of the few things that the cranky band members could agree on was the packing their late ’90s greatest hits compilation, “Echoes”, with Barrett’s songs. When the group finally did awkwardly reunite with Waters for Bob Geldof’s Live 8 concert last summer, Waters dedicated the group’s set in part to Barrett. It was a sweet gesture to man who brought them together and arguably gave them creative fuel to continue on for 15 years. Others were less charitable to Barrett in his later years. He was pestered by fans and unscrupulous photographers all hoping to catch a glimpse of the one-time star who was now a puttering, chubby old man. According to most reports, these encounters ended with Barrett speedily escaping his tormentors. Barrett also held firm on the decision to keep away from show business. The psychedelic era’s other great musical madmen — Love’s Arthur Lee, Jefferson Airplane/Moby Grape’s Skip Spence, and 13th Floor Elevators Roky Erickson — all left music behind at various points only to eventually break their self-imposed silence. Only Barrett never came back at all. The closest he ever came to reentering the public eye was when he agreed in the late ’90s to sign several hundred copies of a limited edition photography book that classic rock lensman Mick Rock had compiled of shots taken during Syd’s solo years. Greater than his public image as a glamorous young man who lost it all or as the acid-fried, songwriting mastermind, what Syd Barrett left all that have come after him is something of greater value. For those artists that knew him as well as those that just appreciated his music, he continually inspired and induced them to take a different creative path. He suggested to them to try something different, to try writing a song in a different way or employing a different sound. One can hear that influence in the Smashing Pumpkins’ zanier moments or the Shins’ “Chutes Too Narrow” and nearly all of the Flaming Lips’ recorded work — all albums that will always vastly outsell Barrett’s own. For this, music fans who’ve never even heard even one of his songs owe him a debt. Note: For a sampling of Barrett’s best musical output, getting Pink Floyd’s “Pipers At The Gates Of Dawn” or the band’s double-disc greatest hits, “Echoes,” would be an ideal place to start. For the easiest foray through his heady solo work, I’d recommend the compilation “The Best of Syd Barrett: Wouldn’t You Miss Me,” which was assembled with a couple of rarities a few years ago. Tags: memorial, Pink Floyd, Syd Barrett. Bookmark the permalink.